By the time our daughter Heather turned 2, all my prideful pre-parenting thoughts had come back to me. How many times had I unfairly judged another mama and promised myself my kids would never act like that? You know that behavior: flailing around in their mother’s arms, pitching a fit on the grocery store floor or throwing a tantrum in line at the movies. However, my daughter’s strong will was unrelenting. 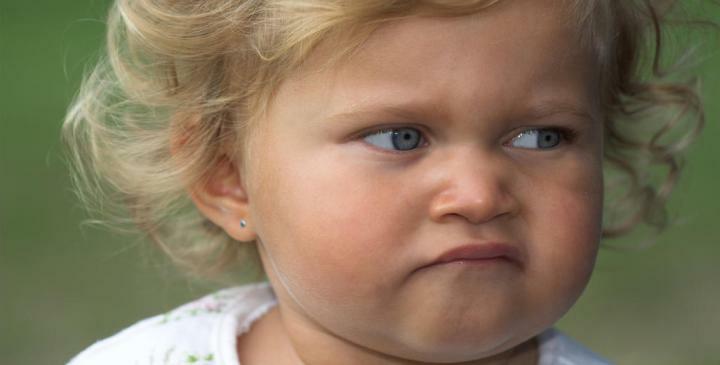 She tried my patience constantly … and often acted like that. I’ll never forget one particularly difficult night. It had been a long grueling day of battles, and it was bedtime. (Praise God for bedtime.) Heather had hurt her baby sister, so I told her to apologize. She refused. Everything in me wanted to just put Heather to bed, but I knew I couldn’t let this go. So in a stern voice, I told her, “Go to your room and I’ll meet you there.” Thankfully, she obeyed and walked to her bedroom. I thought a battle had been avoided … until she looked back at me with that iron will, glaring. She stood there with one foot in the room and one foot in the hall. “Get in your room, Heather.” My tone meant business, but she wouldn’t budge. I thought to myself, I’m just too stinking tired for this. At that point, I remembered Proverbs 3:11-12, a verse I memorized before Heather was born: “My son, do not despise the LORD’s discipline, and do not resent his rebuke, because the LORD disciplines those he loves, as a father the son he delights in.” As I weighed my choices, the Lord spoke to me through that verse. And I knew He was saying: Losing this battle is not an option. I took a deep breath and decided no matter how long it took, I would not allow Heather’s disobedient will to triumph over my exhaustion. I loved her too much. She finally sat down, half in the room, half out. And I joined her in the hall. We stayed there for hours that night. I wasn’t mad, just determined. My daughter would know after this night that her mama means what she says. There was no TV. No toys. Not even a scrap of paper to draw on. While she sat, I folded laundry, paid a few bills and made my grocery list — in between asking if she wanted to apologize. Her eyes were getting heavy, and I knew she wanted to win the battle, but I remained firm. Finally, three hours after her bedtime, she apologized to her sister and to me. I kissed her goodnight as I tucked her in bed; she hugged me and smiled like I was the greatest mom in the world. All was good in our home, at least for that night. That wasn’t our last battle. But over time they became fewer and fewer as I consistently disciplined my children, just like the Lord disciplines those He loves. Why? Because He longs for us to be wise, to avoid making harmful mistakes and to grow in His grace. That’s what I want for my five daughters. I spent a lot of time in prayer and sitting in doorways as my girls grew up. Each one was different from the other, each requiring a different form of discipline. They’re grown up now, and I’m delighted to say that Heather and her sisters love the Lord and walk in His ways. I love my children and know they are worth all the time invested in the disciplining. Even the many long, sleepless nights. Lord, I need You more than ever. I need Your strength, wisdom and leading to raise my children up in the way they should go. Help me! I feel inadequate most days. I know that through You I can do all things. Thank You, Lord. In Jesus’ Name, Amen. 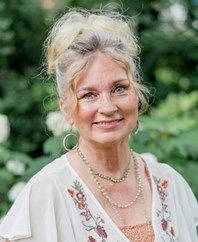 Sharon Glasgow is an international speaker with Proverbs 31 Ministries. She is a contributing author to Zondervan’s NIV Women’s Devotional Bible, and the Proverbs 31 Encouragement for Today Daily Devotional Book. She and her husband live on an organic farm in Fredericksburg, VA. They have 5 married daughters, and 13 grandchildren. You can connect with Sharon on FaceBook @SharonGlasgow or Instagram @sharonlglasgow. Give your concerns over to the Lord with other like-minded moms, through prayer. Join a Moms in Prayer Group or Start a Group! When you feel overwhelmed or frustrated in the day to day as a mom, grab Mom’s Little Book of Powerful Prayers. This simple, daily devotional format will walk you through powerful prayers, by subject, giving you peace and wisdom as you seek God. On sale for only $10. …. Um , gulp did I just saythink that Out Loud?